From San Francisco Soap Company, they have created a natural moisturizing Soap Set that is made with natural ingredients to provide a delightful fragrance that will indulge your senses. Each Body Bar is safe for your skin and is created using the finest ingredients to leave your skin wonderfully scented and gently cleansed. 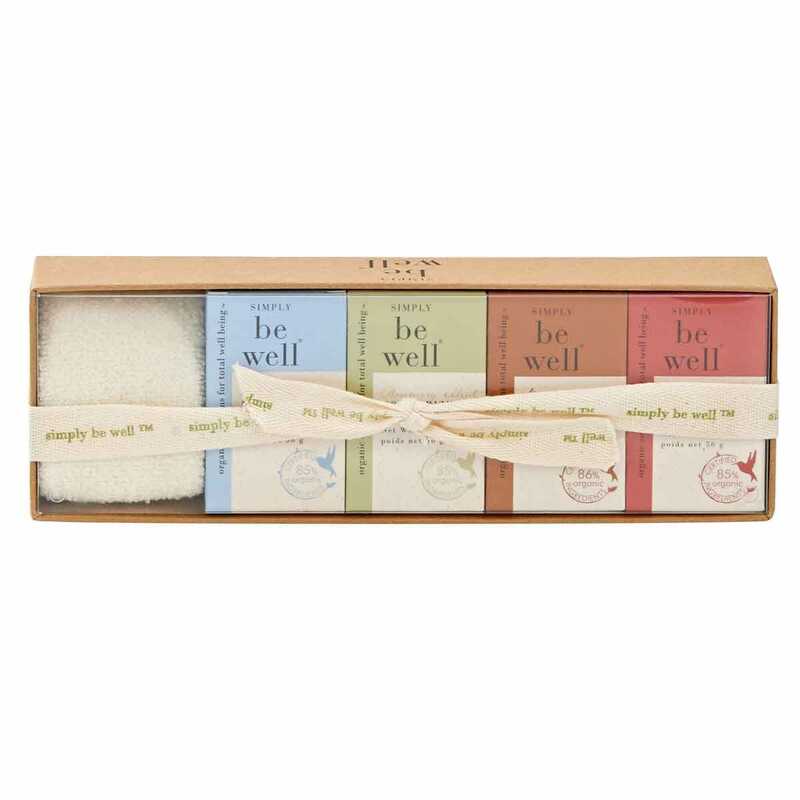 Simply Be Well Body Bar Set includes four delightfully fragranced moisturizing bath bars in a convenient 2 oz. travel size along with an antibacterial bamboo fiber wash mitt. Set includes a Fragrance Free, Lavender Vanilla, Pomegranate and Rosemary Mint moisturizing body bar. Simply Be Well Body Bar Set is free of parabens, gluten, GMO’s and animal tallow. Made in the USA.